Happy April everyone! In my family, April is just sheer insanity. My birthday is next week (April 7th) and my grandma’s is the same day. My mom’s is April 10th, my brother’s is the 14th and my aunt’s is the 16th. My sister in law is also due to have a baby any day now (yay!) so it looks like we’ll have another Aries in the fam! Despite how hectic April is, I am seriously excited for it. I am having a birthday party this coming week, maybe going to Portland for a few days this month and definitely heading home to Ontario for a week. This on top of a ton of great stuff at work and a couple of dance peformances. Looks like it’s going to be a good month! "Travel & Fashion – Scotland"
Thanks Mel! I know, I cannot wait to get my hands on a pair of those! Perfect for summer! 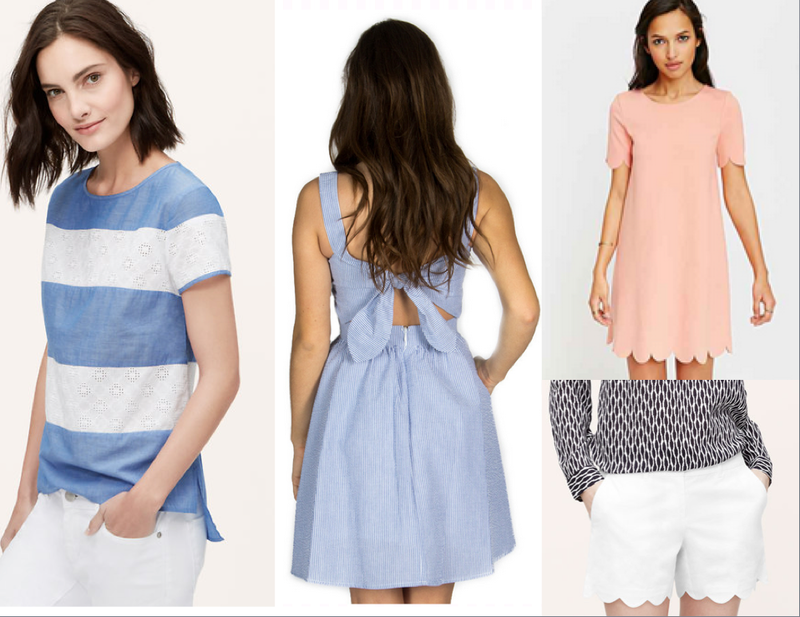 Those scallop shorts & that blue seersucker dress = SO CUTE! Love love love! Haha aren't they just darling?!?! Love em! I will definitely check out your design! Hahaha I feel the same way, love them wayyy too much! Happy April to you too!! !